The biggest concern that the city of Davis has right now about the university’s housing plan, as laid out in the Long Range Development Plan (LRDP), is their history. They have a history of making commitments that end up falling well short. Mayor Brett Lee, in an interview with the Vanguard this week, expressed concerns about the ability of the university to meet their stated housing goals and addressed the unmet student housing needs of this community. While that sounds good, we tend to side with the city on this point – the university does not have a good track record here, although they may have plans and have paper commitments. But as we have seen in the past, paper is just that – there is nothing concrete to ensure that the university will build what they say they will build. What is the alternative? Some continue to push for a binding agreement between the university and the city. When we talked to Brett Lee, he didn’t rule it out, but it was clearly a last resort. My concern is if the city ends up filing a California Environmental Quality Act (CEQA) suit, what is going to happen? The first thing that will happen is that the Environmental Impact Report (EIR) that UC Davis has finalized will not be certified and they won’t be able to add the 4700 beds by 2021 or get to the 6116 by 2023. If history is any guide, we would expect a lawsuit to delay the start of construction by at least two years. That pushes the completion of 4700 beds to 2023 at the earliest. Moreover, we feel that their timeline for completion is a bit ambitious anyway, and so we could be looking more reasonably at 2024 or 2025 before those 4700 beds are done. Given the current state of things – that seems problematic. After all, we have students in large numbers living in housing insecurity. We have a dramatic increase in the number of students living in double occupancy, and it’s unclear what happens when our ability to fill existing housing with even more students will exhaust itself. Besides, right now we have similar problems in the city. We have a total of 3600 beds approved so far at Lincoln40, Sterling and Nishi. Of those, 3000 are delayed by pending CEQA litigation. That means that what might have come on line by 2020 is probably delayed until 2022 at the earliest. In total, the city may approve somewhere between 4500 and 5000 beds in the city. That includes the following which have been approved: 2200 beds at Nishi, 540 at Sterling, and 708 at Lincoln40. Then you have Davis Live housing with 440 that the Planning Commission recommended approval on, and Plaza 2555 is being designed as a traditional apartment complex rather than simply student housing – though it looks like it may hold about 300 student bedrooms at current projections. Likewise, University Mall is not being designed as strictly student housing. It is unclear how many bedroom the 187 proposed units would hold, but for our purposes right now, let’s say another 300 students housed there. We are therefore looking at just over 4500 beds in the town. That would accommodate maybe 80 to 90 percent of the new student growth, but the reason the university was pushed to go to 9000 and get to 50 percent of total enrollment on campus was not only to accommodate the 5100 or so new students, but also make adequate space for current student populations. Bottom line is that, just as the current CEQA suits are strongly and negatively impacting students and other residential neighborhoods, the city pursuing its own suit would be counterproductive – particularly in the next five or six years. It is tempting to talk about the need for binding agreements, but the mechanics of that would have a number of impacts. 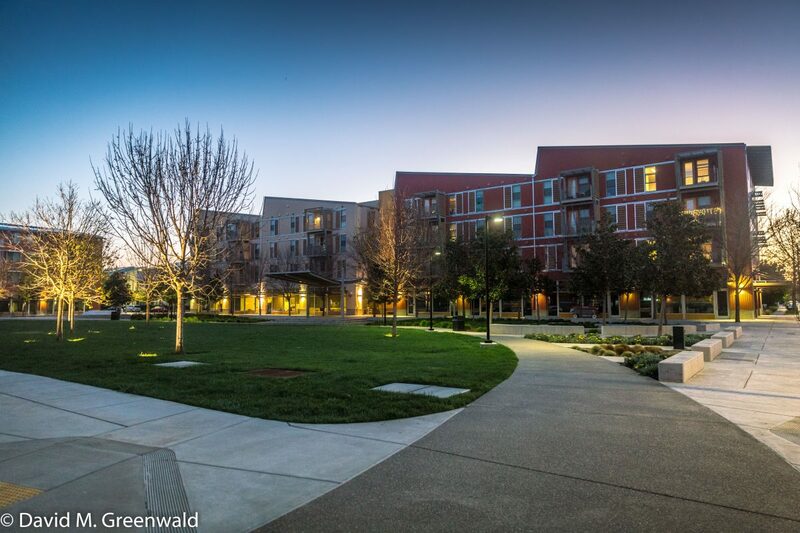 The biggest problem and biggest reason that UC Davis did not fulfill its commitments to new housing in the past was lack of scrutiny, lack of focus, and lack of continued communication between the city and university. To me that is the biggest change that we should be looking at. The key is not to end our focus in 2018, but rather continue to work with the university throughout the course of the LRDP to make sure that they build what they say they are going to build. Previous : Monday Morning Thoughts: What Happens When It Comes Here? This is essentially what I’ve been pointing out for the past few articles. It also does not include the new housing that UCD is building, under its current LRDP. That number, whatever it is, should be added to the 4,500 beds in the city. So, the 9,000 additional units on campus is primarily to accommodate the backlog (not new enrollment), resulting from past failures to follow-through for on-campus housing. Left unanswered in this article is whether or not pursuit of a binding agreement would force a temporary delay in increased enrollments, at least until the dispute is settled. If so, then the 4,500 units (plus whatever UCD is building on campus, under its current LRDP) would actually help accommodate the backlog. Perhaps another possibility is inclusion of stipulations (within a binding agreement) regarding affordability of on-campus housing. Bottom line: Pursuing a more effective, permanent solution (which would presumably also address other off-campus impacts generated by UC, besides student housing) would provide a more effective, long-term solution which would benefit both the city as a whole, and UCD students. We have a total of 3600 beds approved so far at Lincoln40, Sterling and Nishi. And how many of those beds will burn when the 50′ wall of fire hits Davis? — not if, when.